1 - Can American tourists travel to Cuba on a luxury yacht charter? 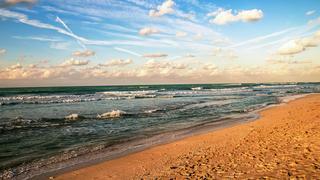 Can American tourists travel to Cuba on a luxury yacht charter? Although luxury yacht Still Water became the first US yacht to charter in Cuba earlier this month, American tourists are still not legally allowed to visit Cuba. If you want to visit Cuba you need to fulfil one of the 12 other reasons for visiting the country. These criteria include activities such as professional research, working on a humanitarian project, taking part in educational activities or participating in an athletic event. Although luxury yacht Still Water became the first US yacht to charter in Cuba earlier this month, American tourists are still not legally allowed to visit Cuba. 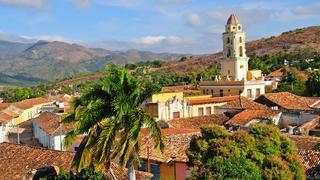 If you want to visit Cuba you need to fulfil one of the 12 other reasons for visiting the country. These criteria include activities such as professional research, working on a humanitarian project, taking part in educational activities or participating in an athletic event. 2 - How can Americans legally visit Cuba on a luxury yacht charter? How can Americans legally visit Cuba on a luxury yacht charter? Although it is not possible to visit Cuba as an American tourist it is now easier to get a permit under one of the 12 types of exemptions. In the recent visit by Still Water the guests travelled on a “person-to-person” permit. The person-to-person permit allows American citizens to visit the county in order to participate in cultural experiences and to learn more about the Cuban people. In theory tourist activities such as visiting the beach or scuba diving are prohibited. Although it is not possible to visit Cuba as an American tourist it is now easier to get a permit under one of the 12 types of exemptions. In the recent visit by Still Water the guests travelled on a “person-to-person” permit. The person-to-person permit allows American citizens to visit the county in order to participate in cultural experiences and to learn more about the Cuban people. In theory tourist activities such as visiting the beach or scuba diving are prohibited. 3 - Will it now be easy for American charter yachts to visit Cuba? 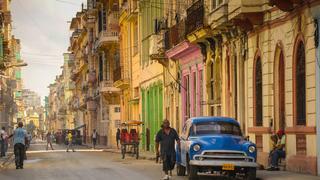 Will it now be easy for American charter yachts to visit Cuba? Even though the policy change could boost Cuba's superyacht charter industry it is still not an easy process. The visit by Still Water was organised by Palm Beach yacht broker Paul Madden, and it reportedly took him seven months to secure U.S. authorisation. It is thought that this is the only authorisation that has been granted to a US charter yacht so far. 4 - What should I know before visiting Cuba? What should I know before visiting Cuba? Although it may now be possible for American’s to consider a luxury yacht charter in Cuba some industry experts argue that the country lacks the infrastructure to deal with an influx of superyachts. Marina Hemingway and a recently completed marina at the Varadero resort are the only two marinas capable of receiving superyachts. Supplies and services, such as banks and ATMs, in Cuba can be unreliable and it is difficult to find internet in most of the country. It is hoped that opening up the tourist market will help to boost the economy to improve infrastructure but this is likely to be a slow process. Although it may now be possible for American’s to consider a luxury yacht charter in Cuba some industry experts argue that the country lacks the infrastructure to deal with an influx of superyachts. Marina Hemingway and a recently completed marina at the Varadero resort are the only two marinas capable of receiving superyachts. Supplies and services, such as banks and ATMs, in Cuba can be unreliable and it is difficult to find internet in most of the country. It is hoped that opening up the tourist market will help to boost the economy to improve infrastructure but this is likely to be a slow process. 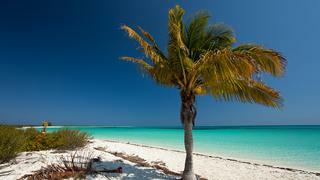 5 - Should you visit Cuba on a luxury yacht charter now? Should you visit Cuba on a luxury yacht charter now? 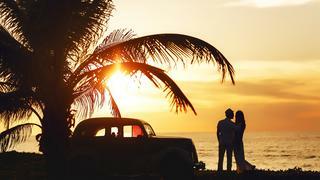 Cuba has reported a rise in the number of visitors, from both America and the rest of the world, as people want to experience the country before it becomes “Americanised”. Mass change to the country is unlikely to happen overnight but the thawing of diplomatic relations will have an impact. There is also still a chance that Barack Obama’s successor could reverse the changes that have been made. Cuba has reported a rise in the number of visitors, from both America and the rest of the world, as people want to experience the country before it becomes “Americanised”. Mass change to the country is unlikely to happen overnight but the thawing of diplomatic relations will have an impact. There is also still a chance that Barack Obama’s successor could reverse the changes that have been made. Can American tourists travel to Cuba on a luxury yacht charter?